There is no objective (since we didn't have time to add one), just stay alive as long as possible. 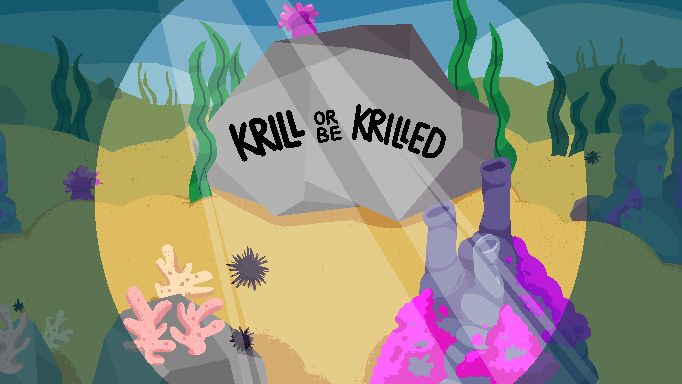 If you do happen to die then you will take control of another krill until all the krill are dead. This game was made by THE WYATTO AND KRISPIN SHOW a team comprised of NotExplosive (Code) and Medamaudee (Arts). Update 1: (Monday, Midnight) Uploaded final build, accidentally uploaded an old build last night. Nothing drastically different aside from the change in background and a few balance changes to make the game more interesting. Update 2: (coming soon, when I can get around to it) Added team logo to intro.